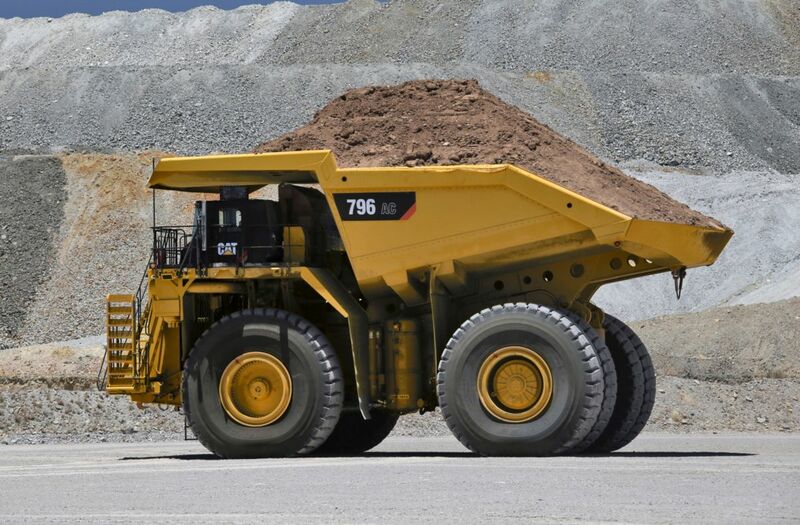 Caterpillar continues to expand its mining truck offering. Following the successful introduction of the 794 AC 291 tonne (320 ton) capacity truck at MINExpo 2016 and investments to further advance the 797F 363 tonne (400 ton) mechanical-drive truck, Caterpillar is now introducing the 798 AC and the 796 AC. The new electric-drive 798 AC features a 372 tonne (410 ton) payload and will join the fleet of over 1,000 Cat mechanical-drive 797s in the 400 short-ton class. The new electric-drive 796 AC delivers 326 tonne (360 ton) payload and will be offered in all regions. The 795F AC, in the same size class, will continue to be offered in regions where engine emissions are less regulated. Both trucks will be available in second quarter 2019. The Cat C175-16 diesel engine powers both of the new trucks. With more than 21 million hours of operation in mobile equipment and power generation, the reliable engine can be configured to meet US EPA Tier 4 emissions regulations and offers a choice of 2610kW (3,500hp) or 2312kW (3,100hp) to meet the mine’s needs. To further adapt to the mine, simple software changes can adjust system power to help meet production targets or to work smoothly in mixed fleets. The 796 AC and 798 AC are built for efficient production. Both truck models are designed to minimise empty machine weight, as configured in the field. The design enables the 798 AC to carry its class-leading payload of 372 tonnes (410 tons) and to haul more material each cycle on 59/80R63 tyres. The Cat High Efficiency (HE) Body is sized and configured to meet the specific needs of the mine, dictated by fragmentation, abrasion, cohesion and the loading tool. The curved floor, front and canopy strengthen the entire body, which is integral to the truck. The body is sized to meet the payload requirements without compromising vehicle balance, braking or control.